Dell Habla Español: Presenting the first Spanish language laptop in the U.S.
As many of you are aware, the Spanish-speaking population is increasingly growing in the United States. The most recent statistics show that more than 50.5 million Hispanics now live in the US, making up about 16.3% of the total population. Recognizing this important growth and the need for many of these families to communicate in their native Spanish-language, Dell set out to introduce a new product to meet this demand. With this in mind, I am proud to share with you the launch of the new Inspiron M5030, the first Spanish-language laptop available in the U.S. and intended for Spanish speaking families to be able to enjoy first-rate quality technology. 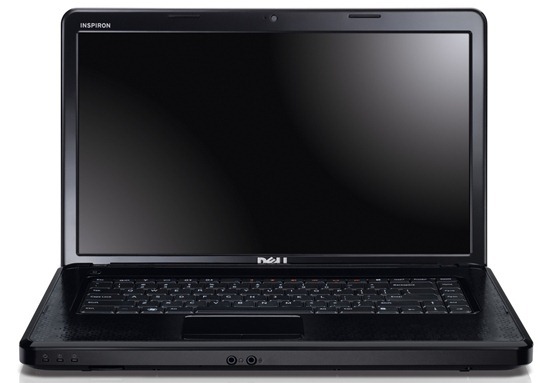 Dell developed the Inspiron M5030 specifically with U.S. Hispanic families in mind. This is the first notebook with a core Spanish language keyboard and operating system (OS) available for sale in the U.S. Priced at $499, the Inspiron M5030 brings high-quality technology for the entire family. The OS and HD Screen makes sharing music, movies, and photos with your relatives fun and easy. Its 4GB memory allows for easy multi-tasking between web browsing, email, and apps along with fast download speeds. The laptop’s compact 15’’ size ensures easy mobility, which allows users to remain connected while on the move. The launch of the laptop stems from Dell’s commitment to listen to customers. By listening, we realized there was a need to develop a laptop that was 100 percent designed for Spanish speakers, affordable and available in the United States. The concept was to introduce a laptop that meets all of these needs and enables Spanish-speaking families to better communicate and keep in touch with relatives, share information and experience the ultimate in technology. You can read more about this product in Spanish here on the Dellendirecto blog post. To introduce the Inspiron M5030, Dell has partnered with BrandsMart USA, to offer the laptop exclusively at their retail stores in Florida and Georgia. We hope to expand the reach of the product in the upcoming months, so stay tuned to find out more about this. Check out some recent great press coverage we’ve received since our launch in The Miami Herald and South Florida Business Journal. So there it is. Everything one can expect from Dell, and now in a Spanish-fluent package. No need to purchase abroad or buy additional accessories, plus you get the peace of mind that comes with Dell’s customer service and support for all new products. Want to see the Inspiron M5030 in action? Check out the video blog of our preview launch, which we recorded at BrandsMart USA in Miami. Also, for those of you in Miami, we invite you to stop by the North Miami BrandsMart USA store (4320 NW 167th St.), this Saturday, March 26, from 10 a.m.-6 p.m. as we will be having a special launch event to introduce this product. We’ll be holding a raffle where one lucky winner will win an Inspiron M5030. We would be interested in hearing your feedback on this new product. Do you also see a need for more technology in Spanish in the U.S.?